DIY Pollinator Paradise: Shop our one-acre nursery to find the attractive, low-water plants you will need to create a landscape alive with environmentally important pollinators including lots of California natives and Arboretum All-Stars. 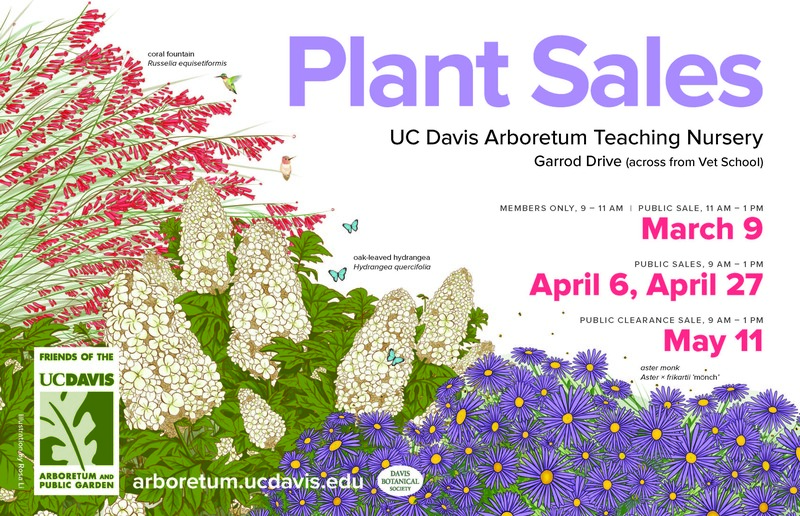 Members of the Friends of the UC Davis Arboretum and Public Garden or the Davis Botanical Society are welcome to shop our first spring plant sale and receive early admittance for the best plant selection, a $10-off member appreciation gift, complimentary refreshments and 10% off their plant sale purchases! In addition, new members receive a $10-off coupon as a thank you for joining. Not a member? Join the Friends online, at the door or call ahead. We are offering a variety of fun volunteer opportunities at our spring plant sales + all our volunteers receive a free lunch! Most of these plants are grown on site, including the Arboretum All-Stars — our top recommended plants for Central Valley gardens. Our nursery staff, in addition to dozens of students and volunteers, propagate and grow the majority plants we sell. 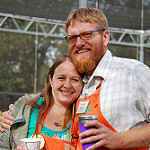 By shopping these sales, you support the UC Davis Arboretum and Public Garden's environmental leadership programs, the growth of our gardens and collections and the wide variety of free, educational events we offer the public. In addition to all the plants we grow and nurture on site, at these sales you will also find a selection of indoor and carnivorous plants, exotic bulbs and more courtesy of the Davis Botanical Society, the support group for the UC Davis Center for Plant Diversity and Botanical Conservatory.